This time a particularly power mad set of "libertarian" conservatives (mostly Israel supporters) - popularly known as the "cabal" - were royally trounced from the national committee that they assumed they easily would take over for a 5th year running. My BOOT ROOT (neocon Wayne Root) convention website and Libertarians for Peace press release - distributed to all delegates - certainly had some small impact on the proceedings. Root only was re-elected to one of the five at large seats on the committee because Presidential candidate Gary Johnson owed him some favors and personally endorsed him from the stage - to boos from the floor. The self-promoting and allegedly wealthy "born again Christian gambler" Root nevertheless got the lowest vote total of the five candidates. DC delegates celebrate to left. I didn't make it myself. Here's links to the most relevant Reason Magazine coverage: Anarchy at the Libertarian Party Convention - Still no Chair of the Libertarian National Committee - Gary Johnson: The LNC Chair Race is Exciting! Interesting! -Starchild Is Here - Geoff Neale is the new LNC Chairman The Reason reporter also has some great videos. CSPAN covered the debates and presidential voting and acceptance speeches here. Also see Bruce Majors' youtube site. Below is THE SPEECH that turned the tide: when former Maryland libertarian Nick Sarwark called for people disgusted with the choices for chair to vote for NONE OF THE ABOVE. Enough did to defeat the other candidaes and in the next round of mostly new candidates, new candidate and former chair, principled libertarian Geoff Neale, was elected. 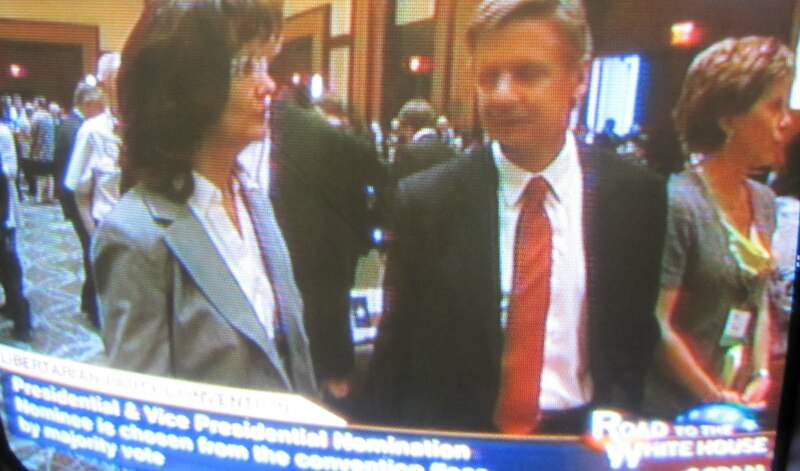 Less Antman's nominating speech for presidential second placer R. Lee Wrights was fantastic. However, the Libertarian Spring is not over yet. Root and his cronies still have control of the Libertarian National (Congressional OOOPS they renamed it) Campaign Committee, have got the whole donor base, and hope to rook principled libertarians out of their hard earned money to promote their "libertarian" (neo)conservative candidates. Many strategies to combat this insidious faction are being discussed. More to come. 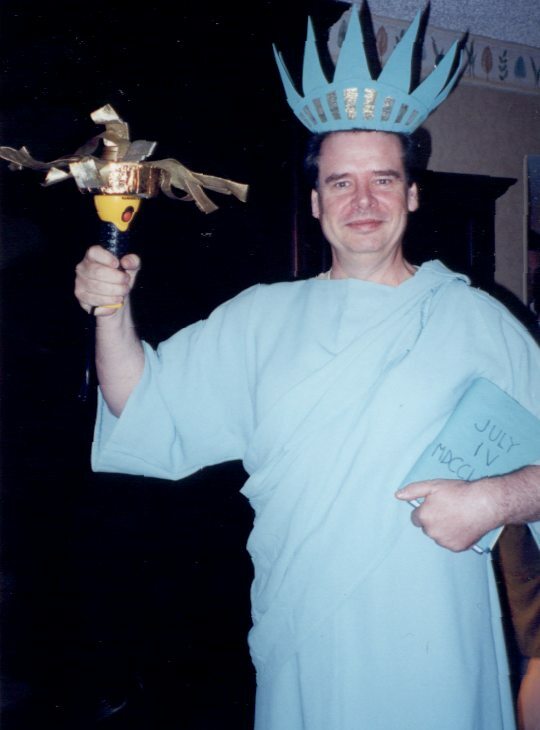 Added later: Here's a 2004 photo of Texan Geoff Neale who in 2012 was elected for a second time as Chair of the Libertarian National Committee.